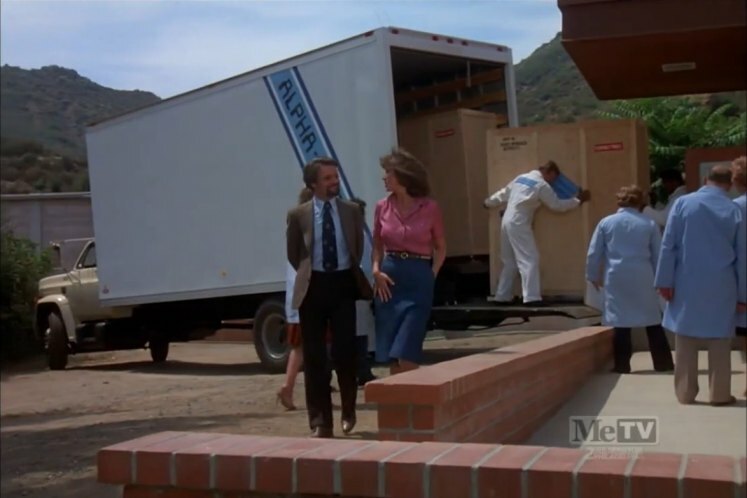 IMCDb.org: 1973 Chevrolet C-Series in "The Incredible Hulk, 1977-1982"
Being a small moving van, this truck is probably a gasser. The GMC trucks were more common, so my vote is that it's a GMC C60 or C65. • 1973-88 GMC C-5000 or C-6000 / 1973-78 C-6500 or 1979-88 C-7000. What seems to be a square cowl side emblem would indicate a 1973-79 Chevrolet model.